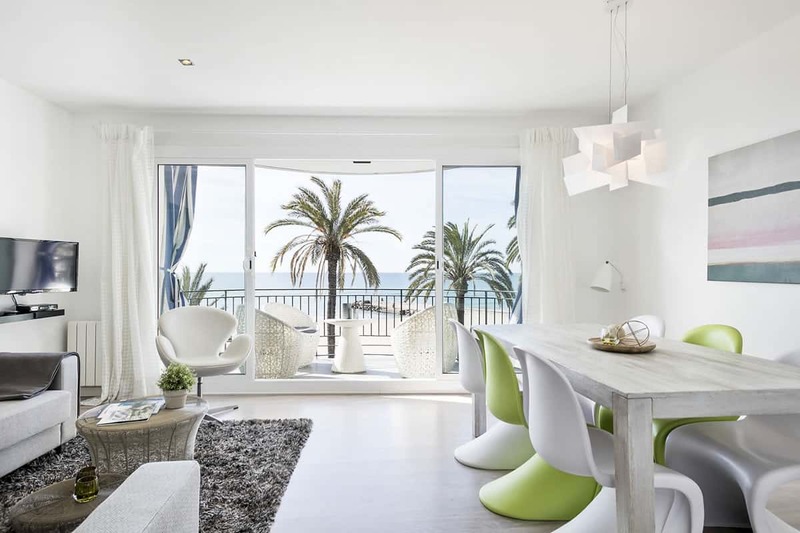 The Ribera Beach Ocean Blue apartments in Sitges offer views of the Mediterranean Sea worthy of a postcard. It is located in the most desirable place in the city, facing the sea. Just by crossing the street you’ll find yourself at the beach and the historical centre of the city is just two minutes away on foot. Its decoration and design, inspired by the Art Nouveau style, will immerse you in the roots of the local culture. 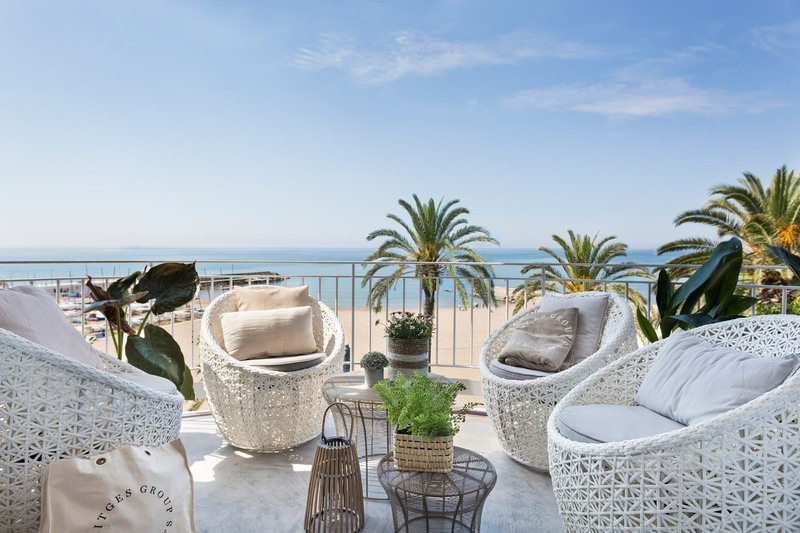 Decorated with exquisite taste, these accommodations in Sitges will allow you to relax and disconnect from your daily routine. Also, they are equipped with the latest household appliances and all amenities so that you will have everything you need. On the promenade, our Ocean Blue apartment gives you views of the Mediterranean and its white sand beaches. 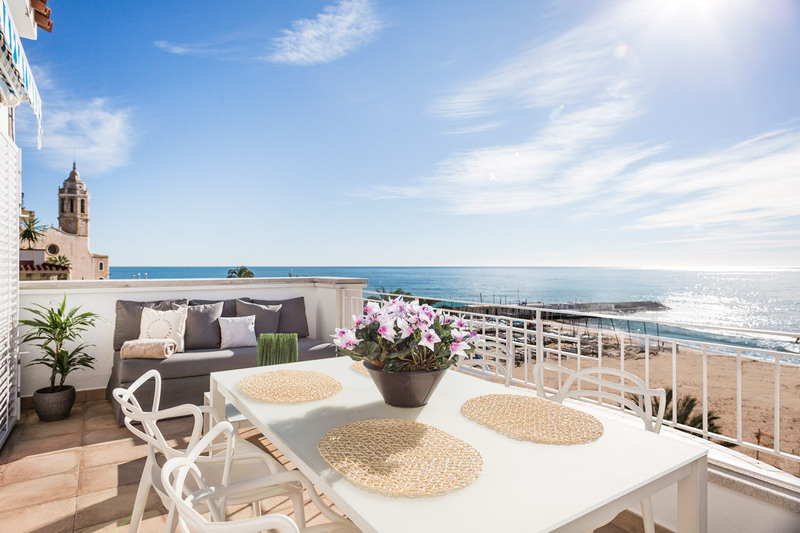 On the promenade, our Ocean Blue Penthouse apartment gives you views of the Mediterranean and its white sand beaches.